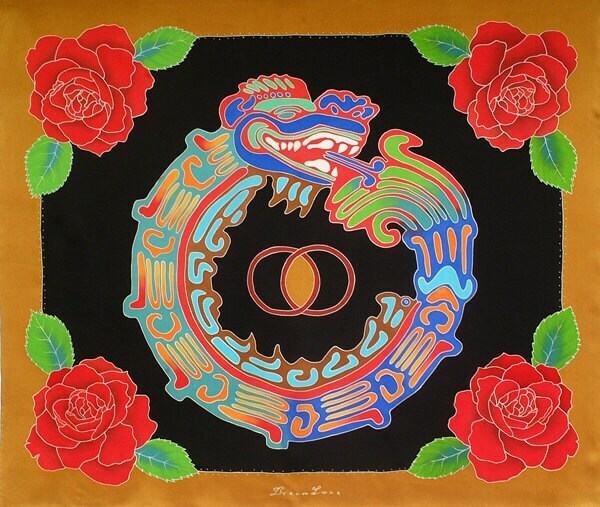 Simply gorgeous, unique very lovely and beautiful scarf inspired by the ancient Aztec Quetzalcoatl which was related to the gods of the planet Venus, the arts, and knowledge. 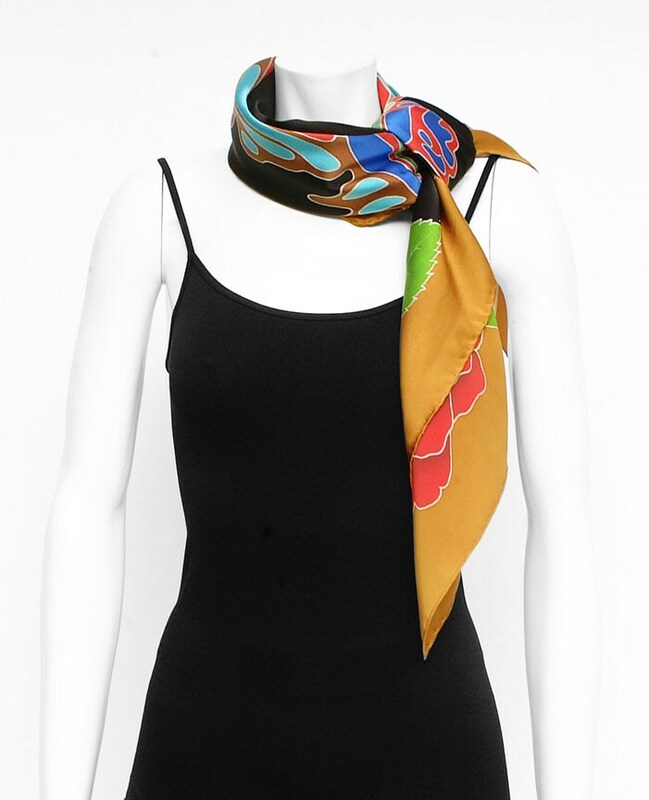 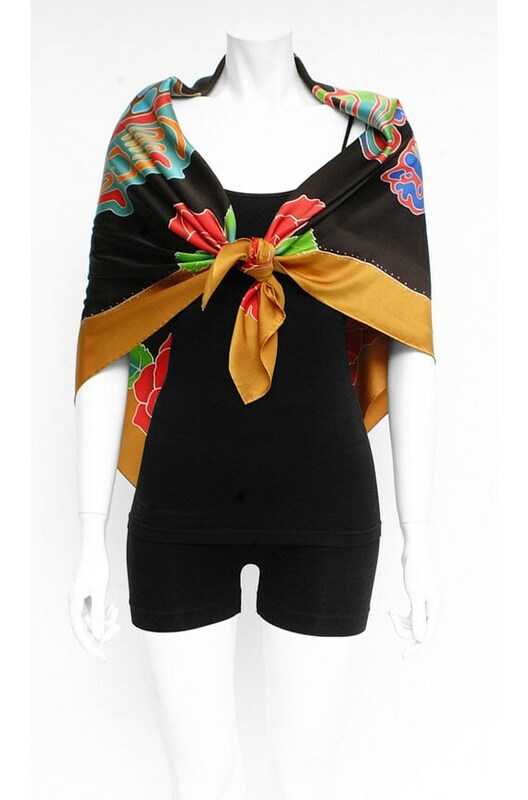 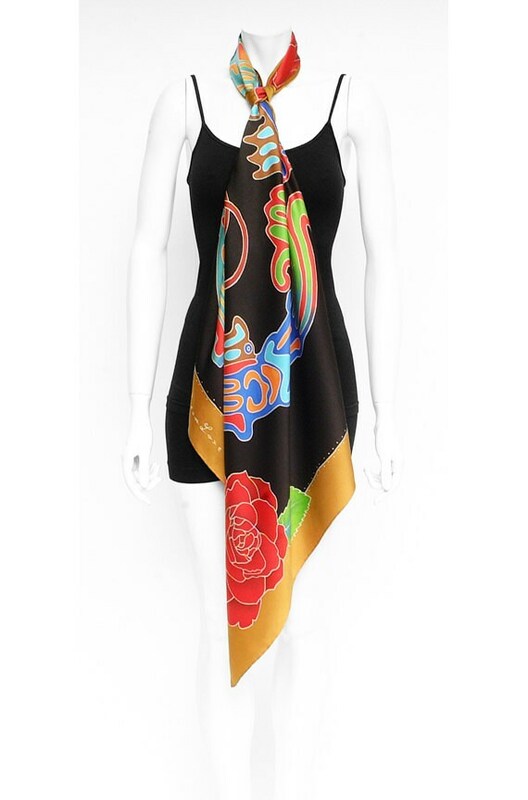 This is a one-of-a-kind scarf created by the artist is boldly painted on 100% charmeuse silk. 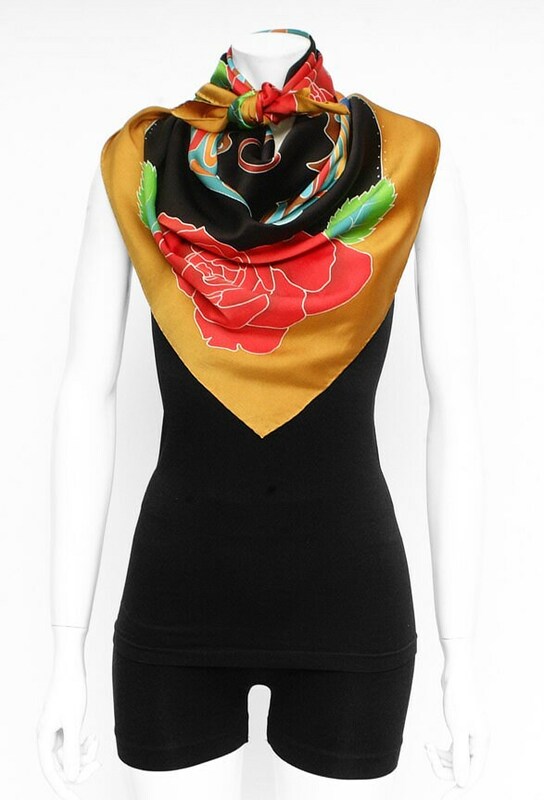 It has four red roses on each corner with a black and gold background.